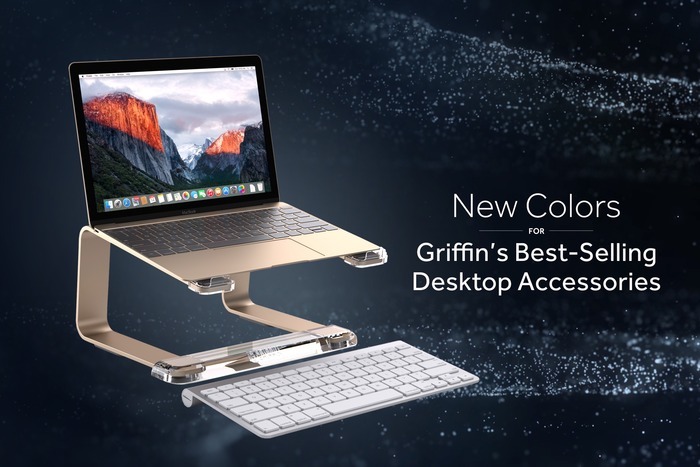 Griffin、MacBook (Retina, 12-inch, Early 2015)のカラーに合わせ「PowerMate Bluetooth」などのデスクトップアクセサリーを3色展開に。 | AAPL Ch. Las Vegas – January 4, 2016 – Griffin Technology, creator of award-winning and thoughtfully designed mobile accessories, announces sleek, new color offerings to their best-selling desktop accessories – PowerMate Bluetooth, Elevator and Guide. These fan favorites now include colors that match the modern and elegant design of Apple’s MacBooks.